THE BIGGEST ELECTRONICS BUYER CASA GRANDE HAS TO OFFER! Casino Pawn and Gold in Casa Grande wants to be your go to Electronics Buyer! 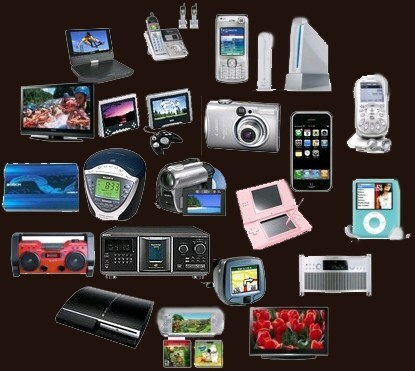 That's right, we want your digital cameras, plasma TVs, recorders, blu-rays, iPhones, Blackberrys, Androids, Samsung Galaxys or Flat Screens LCD or LED TV's, or other electronic items in your possession and is prepared to pay you the most CASH for your items as the biggest Electronics Buyer in Casa Grande. We are not limited to these items alone, we are ready to give out cash on many top brands in the market such as LG, Samsung, Sony, Macintosh, Onkyo, Denon, Teac, Pioneer, Vizio and others in the market. We are the top Electronics Buyer in the industry but if you are in need of cash and not quite ready to give up your camera, stereo, TV or computer, we will offer you the highest pay out on a 90 day loan. We take all the popular brands in the market such as Apple, Dell, Lenovo, Sony, HP, Toshiba, and many others. You get better quote on your items when you have all the remotes, power cords, manuals and accessories. So How Can I Sell My Electronics? IT all begins when you come on down to Casino Pawn and Gold with your electronics. There's no need to make an appointment, or contact us beforehand, you can bring a truck full of electronics down (if that's really the case) without an appointment and we'll get you taken care of. Once you've arrived, one of our associates will start to investigate your electronics. At the best Casa Grande pawn shop, we do our best to take into consideration every aspect of your electronics to get you the most amount of cash. Instead of simply looking at whether it's in working condition, we'll also take a look at its cosmetic condition as well. If it's in fantastic condition, we can get you even more cash for the item. Anyway, once we have ensured that it's in perfect working condition, and come up with what kind of cosmetic quality it's in, we check out what the global market is paying for the item. This way you can rest assured knowing you're getting the fairest price possible. The most important part: the cash offer! With all of this completed,we'll give you our buying price. At Casino Pawn ad Gold, we can almost guarantee that we'll pay the most amount of cash compared to our competitors. We factor in all of these different metrics to get you this offer, and when you accept, we'll collect a few signatures from you and send you on your merry way with cash in hand. We will also buy any musical instruments that you own. We will look at all well maintained saxophones, synthesizers, guitars, drums, acoustic, electric, bass and amplifiers, then we ensure a high pay out on these items when stopping in our pawn shop, in Casa Grande. We prefer all the known names such as Washburn, Les Paul, Fender, and Gibson guitars which we keep in our safe possession during the period of the loan. Hence, there is no need to worry about your items when it has been left with us in Casa Grande. Bring in any kind of electronic item that you have in your possession to one of our specialist today and we will go through its condition thoroughly to give you the highest payout for it as the #1 Electronics Buyer in Casa Grande. Casino Pawn and Gold is here for you as well. A pawn shop is a place meant to get people fast money, no matter their circumstances. Parting with our electronics is no easy task, especially if it's something personal to us like a cell phone or laptop. On any electronics that we would buy, we can also offer the option to do an electronics loan instead. This allows you to retain the option to get your item back as soon as you're ready to repay the loan instead of parting with it forever. The process for getting a pawn loan is the exact same as the buying process. The evaluation, and price will typically stay the same no matter what. Once we get you your cash, we store the item in our secured facility throughout the duration of the loan. This gives you 90 days to come back and repay the loan and have your electronics right back in your hands. Even after the 90 days, we're happy to work with customers and extend the electronics loans as need be. Come on over today to get a free quote on your electronic items, and don't forget we also serve, Coolidge, Maricopa, Eloy, Arizona City, and the Florence Area.